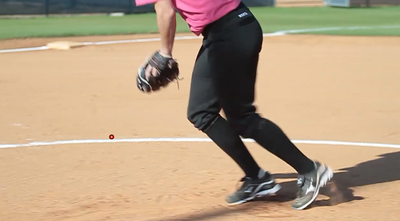 We've all heard the saying "you throw like a girl"...well its true..YOU DO! There are some very specific reasons for this and they can't be ignored if you want to keep yourself performing at a high level while keeping yourself HEALTHY. Yes HEALTHY! We are seeing injuries occur in female athletes at a rapid pace and there are good reasons why. These issues need to be addressed and monitored throughout a players development. In the HP softball performance training, each player will be able to train regardless of what season they are in or how many sports they are playing. Everyone will fall into a training season and work can be done! 95% OF THE POWER IS 4 KEY MOVEMENTS LAUNCH, STRIDE, DRAG AND STOP. 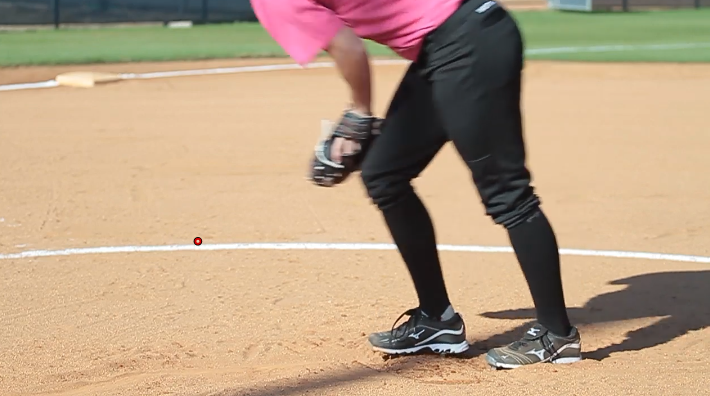 We've all heard the saying "you throw like a girl"...well its true..YOU DO! The question you should ask is what does that really mean and why it will be a compliment by the time you are done reading this page. Throwing like a girl in our world refers to a method of waist down instantaneous explosion instantly followed by a screeching halt. This proven approach literally explodes the ball from the fingers of the pitcher, with the force of ___ x their body weight transfers from the ground through body and fingers in under a second. The best have hand and released from the fingertips. OK, so what? So build the thing that gives you 80% of power to apply the added 20% from the trunk and arm. Now that you are clear on what our power pitchers speed training program, it's time to touch on how we actually get the job down. As mentioned, below are 4 key training attributes to the POWER PITCHERS PROGRAM. 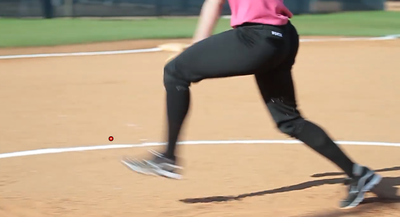 In softball, everyone pretty much knows you must develop core stability as well as mobility to apply the force fluidly enough to go through the motion powerfully reducing the resistance. Even if those words didn't come to mind, I'll bet you intuitively already understood this. However what seems to be hidden in plain sight is the where all the power actually comes from. Between the force (gym) and the motion (mechanics) pitching at high speed is more about strength and power infused into the movements. Covering the more distance in the shortest interval of time possible is stride power. 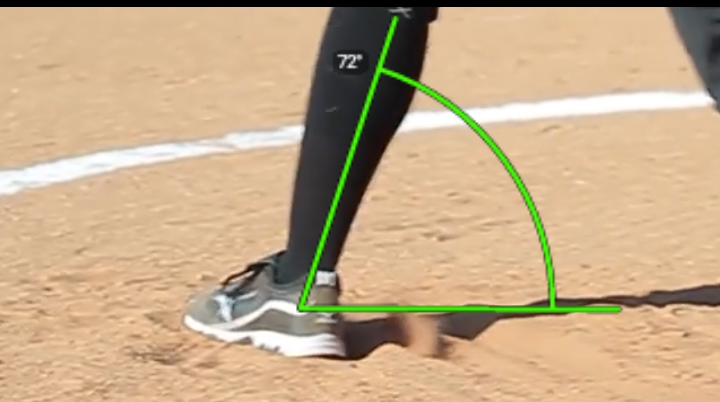 Stride length and rate is something we talked about everyday with out athletes, whether it be mobility or power, achieving the 110 degree power stride is another key to generating the power and speed needed behind the ball. Our power stride training includes the mobility, and flexibility training designed to increase stride length, by improving the fluidity of the movements that comprise the stride. Even the word drag suggest pull (someone or something) along forcefully, roughly, or with difficulty. With our sprinter we teach them what we refer to as quick recovery, which is the act of toeing off at the last millisecond before flight phase of the stride. 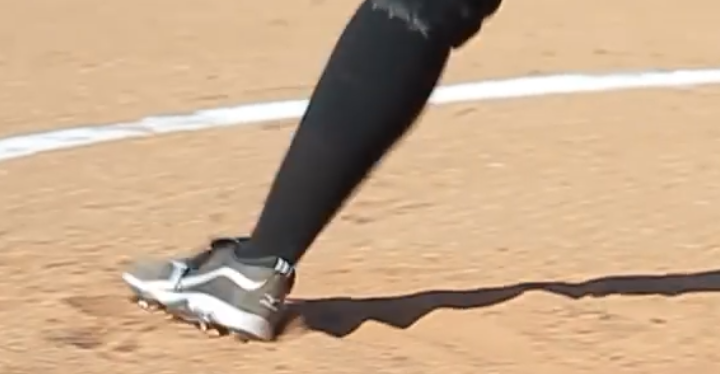 While pitcher can not leave the ground, they do take flight, making the "drag" or recovery of foot a key to power explosive pitching speeds. Although every phase of the pitch is just as important as the one before it, the Halt as it's referred to is a can make or break the power of the pitch. Stop quickly and forcibly and all the power generated from the start transitioned into the stride will compress into the last 5% of the the 1 second event. This is similar to the force generated during a crash test, the impact is where the real damage is done. In the same way, at the point of impact is where the power is turned up 10 fold. Needless to say to reach top ball speeds students must know how to shut it down in an instant, and that requires mechanical skill, overall force (strength training), applied quickly (dynamic power training) reacting quickly distributing forces generated back through the leg and up through the core, arm, hand and fingers upon release. Once it clicks that the lower body is the the engine and the trunk and arms become the means for which the body uses to convert force to mechanical to very specific force at the point of release. However all throughout the motion of pitching you can see it's driven by force, behind the pitcher eventually has the "potential " to be transferred into the ball, or at least a portion of it. How much can be transferred? great question, that's where stability and mobility comes into play. You're crazy strong and explosive yet, have a crummy arm swing, you'll lose ball speed as a result. On the other hand, if you have even decent mechanics with minimal experience pitching swing, you can expect to see your numbers improve in a matter of days or weeks. Power to start and stop is jump training specifically designed to training the body to turn of and off quickly using the same muscle, same mechanics and movements recreating the motion of pitching. The closer the drill comes to the actual motion or more importantly the segments of movement involved. Catapulting is a very specialized skill which attributes to pitching, but is in and off itself a skillset which is easily seen when watching D1 pitchers. (show pics of timing of D1 verses typical pitchers. 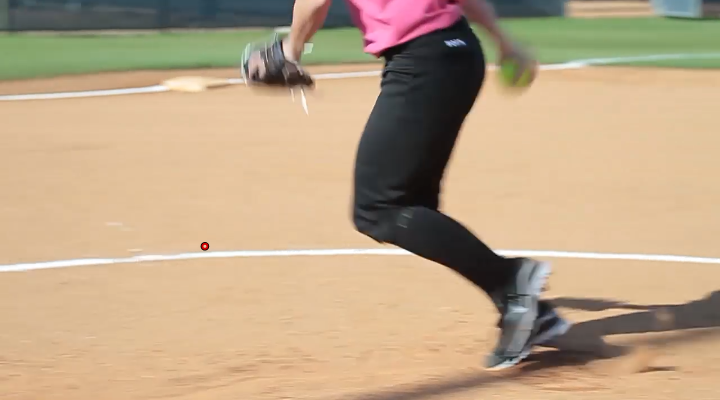 The ability to stop on the spot, most coaches think cutting or change of direction, running backs, volley ball comes to mind, however, when it comes to the Pitchers, COD is seen more so as SOD stoping on the spot. The true power behind the pitch is the rate at which the pitcher can stop the entire motion within less than a 10th of a second. This is actually only 10 cent of the full dollar of time it takes for the full motion, leaving the batter with less than 50 cents to respond. 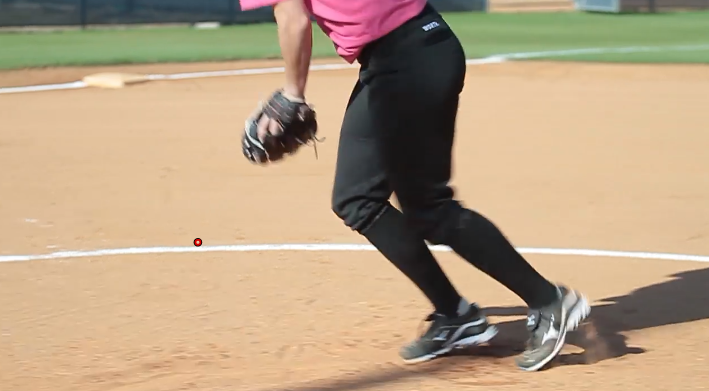 Pitcher must also have the ability to cut and juke to forcibly change the change the direction from forward to a complete stop. Miss the mark however and miss out on the harnessing, storing and release of the power needed to throw 63 plus. Inside the program you will find out exactly where you should start. Once you know where you will start we will begin your journey of long term athletic development. It will be like you have your very own Strength & Conditioning Coach with you every step of the way. Your High Performance Program will outline your 1st 12 weeks. Once done, you will be assigned a coach ... yes, your own coach! They will develop a program CUSTOM to YOU! Specialty programs will be important to maintain and incorporate in order to prevent injuries and keep you improving throughout the year. Throughout the program, the plan will be detailed to meet every player's needs. Once you find your starting point then you will follow your program. You will have a 3 day program. Now I know you may be thinking I need 4 or even 5...Don't worry we will have you covered. We will show you exactly what you need to do to make this program fit to your exact needs based on YOUR schedule and goals. Your training schedule has the be CONSISTENT in order to reap all the benefits. It has to fit your schedule in order to make the appropriate progressions and get the results necessary to continue your athletic development. The program will require a 3 month commitment. Over those 12 weeks we will progress your program based on how YOU are responding to the program. 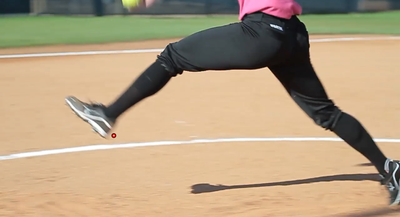 Explosive Dynamic Force, Power and Mechanical Development for Explosive Softball Pitching Which Exceed 60 Plus MPH. The swing of the arm is essential not so much for generating power but more so for the need for for anti resistance more so than added power. The arm works like a leather sling, not a sling shot. The arm should receive most of the power transferred from the ground. The problem is how much is potentially lost. The truth is most pitchers don't develop elite pitching power due to the lack of swing of the arm to support (stabilize, mobilize and distribute) the high level of power running through the body. As a result, dumbing down the lower body drives seems to balance the lackk of abilities of the arm to receive the un-compromised power generated from the ground up. Movement prep is important when achieving peak performance and preventing injuries. We incorporate foam rolling and dynamic stretches to prepare your body for the workout resulting in improved range of motion, faster recovery. Power is producing the greatest amount of force in the shortest period of time, which requires the body to travel through it's fullest most optimal range of motion humanly possible. -- a critical factor in any sport. Speed & Agility training is important when building a great sports performance program. Each speed & agility drill is customized for softball players based on your strengths and weaknesses. Rolling, Releasing and Stretching, soft tissue work, through foam rolling, trigger-point and nutritional education help our athletes improve mobility and recover faster and feel better. ELASTIC ENERGY (train force to generate, store and quicker release compressing force into higher levels of mechanical force (power). EED's Elastic Energy Development is conditioning strength and agility movements enhanced by loading the body with elastic resistance in the form of bands. Elastic training enhances the multi-planar movements and drills which dramatically increases the capacity and explosive application of the energy system. DYNAMIC WARM UP - Complete the following drills prior to starting. Multi-planar Force Development Applied in Uni Lateral, Dynamically, Rhythmic Movements Done at Progressive Tempos ranging from strength to power training body efficient paths of motion for fluidity of ground forces through the body. The following combination movements are designed to comprehensively cover every movement, plane, tempo from body weight to fully loaded with stability. Forceful and explosive movements are proceded by a counter move which is what initiates the generation and harnessing of the energy generated and using it to compound the primary and bigger more explosive move or action. This counter movement or loading phase is literally 10 or less of a second of force applied and in most cases to stop the motion as well. This reactive form of strengthen is essential to generate big stride followed by a practically instant change in inertia direction (COD). Front Side Cycles: Complete the cycle facing the anchor turn around and repeat the set. Lunge toward the low anchor attached at the waist by belt. Uni DB Squat w/ Abductor (force pulling away) from midline. Dual Dynamic Wiper: Wiper with tension added to the side rotating from or away. Tube attached to nearest leg for additional force added to the adductors. All the things that support the training above but tends to be neglected therefore creating a initial impression that the student athlete is weaker or not as capable due to the lack of core strength. Every morning before breakfast do the following to activate your body for the day.